The healthcare industry remains the fastest-growing industry on the market right now. Advancements and changes happening in the healthcare industry are already affecting other industries around it. With things such as information security and technology integration, healthcare is the industry at the forefront that others learn from. Let’s take a step back from looking at the latest healthcare tech and gadgets for a while. The industry also offers a wide range of career options, with a career in nursing being the most popular of them all. If you are interested in entering the field and starting your own nursing career, here are some of the things you need to prepare. To be a nurse, there are several paths you can choose from. There are academic paths that you can follow depending on the kind of nurse you want to be. If you want to be a registered nurse (RN), however, you can choose to pursue an associate degree in this field. After earning your associate degree and working as a registered nurse, you can also follow through and earn a bachelor’s degree in nursing. There are plenty of online courses and programs to choose from so you can earn the bachelor’s degree while already working in the healthcare industry. The rest is easy from there. You can go with a more administrative career path or pursue a higher degree to become a nurse practitioner. There are master’s degrees in this field as well. As mentioned before, the path is yours to choose depending on the objectives you want to achieve. The Houston Baptist University, one of the best universities when it comes to online nursing programs, published a list of RN skills you need to have in order to be a capable nurse. The list is a fantastic starting point if you want to start sharpening your skills from the beginning. Aside from the technical knowledge, you also need to have good organizational skills. This is why an RN to BSN degree program usually includes management and leadership classes. 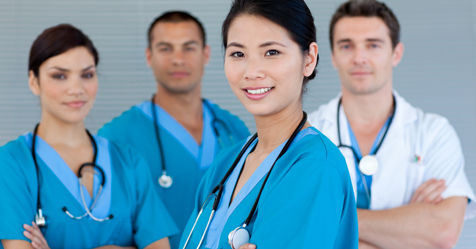 Nurses are the future leaders of our healthcare industry. You also need to develop the ability to remain cool, calm and composed under pressure. This is a skill best developed over time, so start early and learn to deal with smaller issues before you enter the field of nursing. On top of that, you also need to be a good communicator and problem solver. You don’t have to be working in the healthcare industry to gain some experience in nursing. As you pursue the right degree, you can also volunteer in various social movements and gain experience from them. This is exactly why pursuing your nursing degree online is the way to go. Online RN to BSN degree programs, for example, are designed to be very flexible and with fulltime nurses in mind. There are plenty of opportunities to gain the experience you need, so seize those opportunities and make the most out of them. These are the preparations you need to make to have a successful nursing career. The sooner you start making these preparations, the better you will be by the time you enter this field and start treating patients as part of the growing healthcare industry.